out of your device and along the line it gave you superior Christmas headache. You don’t need to worry because you are the boss of the device. device is facing and it will be fix for you. I don't even think if my own headache have a solution. my phone's data like videos, pictures, keyboard language and Dictionary data always got deleted each time I plugged my phone with usb in my laptop to transfer file. Do You have a memory card in it or is without a memory card? What kind of phone is that? phantom z inbuilt memory. not doing like that before. don't know if the problem is from my phone or laptop. If its not doing like that before, then I'll suggest you try another lappy to see if it will delete it.. if it does, back up your files and contacts. then factory reset your fone. ok. thanks, I will do that. Bros, if you hav any fone dat u order nd u want to disposed it out. I need it battery is very impotat i no fit buy power bank ooh. Lik above 5000Mah. My Oukitel K4000 battery drains very fast and overhears when 3G internet is on, charging the phone is quite slow like 3-4 hours. What are the solutions to these problems of K4000? Many reasons may result into why your device battery drain fast but first of all, reduce your screen brightness. By default it is set to adjust according to your sorrounding. Also, go to Settings > Battery. If you find apps on this screen that are using up more battery than they should be, close them by tapping Force stop. It over heat because of the processor which is 1Ghz and I believe you opened different apps at thesame time. Just close any app you are not using,or when you are done using an app, close it completely. Its pretty easy to root once you have SP Flash tool install on your PC. did you get any error message while trying to do this? Do you have the TWRP recovery and Super SU for your device? If yes, let me guide you on how to go about it. Please carefully follow the guide and replace it with your own twrp and su. i flashed my infinix zero x506 (16+2) in order to upgrade to os5.1 but unfortunately the phone is not booting that is its dead. please what nxt! When you tried to turn it on, does it display any logo? or is not just coming up at all? When you connect it to your PC, does your PC still detect it? Since your PC doesn't detect it and it doesn't turn on, then I'll suggest you locate the closest CarlCare centre closer to you. They'll check the board and fix it for you. Prof I have similar problem with Bashir and it's the same type of phone. But as for me, if I connect the USB my system used to make sound of detecting but nothing would come up. At the moment, Kaiomy hasn't provided any ota or manual upgrade for your device since 2012 which is bad. Except if you are techy enough and you are willing to port custom rom for your device. Your BBQ10 need an upgrade. Get a PC, download BB10 Desktop manager, it will detect your device, then upgrade your OS. The blog template limit is over. Maybe I'll send it to your inbox. Its because its due for Servicing. Back up all your apps, files and everything. Go to settings>>>Apps>>>Clear your app cache of individual apps. Rebooth your device and watch its perfomance. I'll advice you upgrade to the latest 5.1 rom and everything will just be fine. Mine's samsung s6 china version but it doesn't bring up 3g network. Please what i can do? If your Samsung is china version, then it must be an MTK device. Check to see if it's an mtk device, if it is, then change your IMEI and your 3GB will be back. You might be having Ram problem or Hardisk problem. If you know where to locate your ram, carefully remove it from its board, and clean it on a white clean cloth. (not with water ooo, but a dry white cloth). Then insert it back then reboot your system. If it doesn't work, then you need to run Hard disk test. I try to upgrade my infinix hot note to lollipop, but the device bricked, and cannot on again, and my system will not dictate it when it is plugged tro usb. I try ever thing and it seems not to work. Please my dear Jomi prof help a friend out. Or anyone that had succeeded in such a challenge should help me out God bless. If in the process of upgrading, you mistakenly shake the cable while the upgrade is still ongoing, then it is a complete brick. Since your system doesn't detect it again, I'll suggest you locate the closest CarlCare center and they'll fix it for you. @Jomi I did not such thing, as a matter of fack i was not close to the phone and the system when the process was running. Care services is talking about months process now. I dont know what to do. Please someone should help. Unfortunately I'm not closer to whre you are. You still best bet of fixing it is still CarlCare. Just excercise patience and give it to them to fix it bro. My phone(lg l80) got bricked a month ago and I've been trying all sorts to get it back to life but yet it refused to work.Kindly help me on how to go about it. does it still detect when you connect your charger to electricity socket? or does it still detect via usb on PC? Yes it detects charger as well as USB when connected to pc.I ought to have replied earlier but I couldn't find your reply on my mail not until now pls help. Sorry about what you are passing tru but I'll suggest you try another uSB cable entirely perhaps it will detect it. My opsson has a little problem. When U put it on it works fine, after a while it starts showing android.com has stopped working, xxxxx.com has stopped working, yyyyyy.com has stopped working and once it starts doing that, nothing works again. Immediately U press OK or back another.com has stopped working comes up again. Back up all your files and apps, once you've done that, factory reset your phone. It will fix it or Flash it! Thanks Yomi and Engr Wale. I've tried doing factory reset and it has refused to reset, I guess the best option is to flash it. Please can U help me with the procedure of how to flash it??? It will help me a lot. Thanks. MY INFINIX X509 ZERO 2 CONNECTED TO MY SPECTRANET FIRST THEN ALL IT SHOWS NOW IS "saved, secure with wpa/wpa2" AND IT WONT CONNECT, PLEASEEEE HELP , I DONT WANT TO RESTORE MY PHONE OR ROOT IT. You don't need to restore your phone at all. Just go to network and delete the stored spectranet network stored. reconnect it again and it will work just fine. This particular fone has alot of problem. Just upgrad your fone to the latest 5.1 and it will fix the issue. You can only root it for now with PC. The Twrp will be ported and i'll upload it for you. Infinix x510. sim switching prob.. for the 1st 1 month was using an infinix x510 with a call with option before it suddenly disappear. solution? Go to settings>>>sim management and you should see the options their. Hi Prof, my blackberry Q10 got frozen while I tried to unlock it. Removed the battery and placed it back but the phone has refused to power on again. I removed the battery and plugged it to charger but it only blinked red light and went off almost immediately. What can I do please? Connect it to your PC and install Blackberry Link. It will detect it, then upgrade the OS to the latest and you are good to go. Dear Prof, I have the procedure you stated above but the blackberry link did not detect the phone and the phone has no signal of coming up at all. What elsse can I do please? I will appreciate your reply. What OS version are you currently running on your Infinix hot note? Infinix hot note doesn't have Android One upgrade. Have you upgraded to the latest 5.1? Yes sir. Have upgraded to Android 5.1. Test it with this, once it gets to 50% charge level, remove it from 3G network setting and leave it only on 2G alone. See how long it will last you. iTel at the moment doesn't support upgrade to the latest Lollipop. Hence its hopeless when it comes to receiving MashMallow update. Tecno M5 doesn't support lollipop 5.0 upgrade except you are willing to try out custom lollipop rom for TEcno M5. I put off my TECNO M3+ last night only to wake up this morning and tried owning it but it refuses to power,after much trial and error it turned on but it only stops at that boot image. Obviously your device is bricked if the only thing it displays is Android logo. However, I don't know the last application you installed before you went to bed but I'll advice you boot it into safe mode and uninstall the application. Then reboot your device again. Hi prof. My wife just bought tecno L5 and when she tries openin play store it keep sayin background data restricted. I went to settings to data usage and enable it but still when i try accessin it i still get the same message of enablin it or quiting. Pls what can i do? While my f7 keeps telling unfortunately google systeem has stopped…. And also google play services whixh some of your applications rely on is not supported by your device. Pls Contact yiur manufacturer for assistence. Pls help. ==>From the Home screen, tap the app slider, then open “Settings“. >>Tap the “Menu” Menu icon icon located at the upper-right corner. Select “Restrict background data“, then tap “OK” to turn background data off. For your Tecno F7, go to settings>>>app>>scroll down to google services and google play services, clear the data cache of both then reboot your device. My phone's back camera suddenly stopped functioning, though the front camera still works. Any solution please ? Hello Prof, help! I want to root and install twrp on xiaomi redmi note2 China stable version but, it's been a herculean task. Tried most methods but no success yet. Pls assist. Thanks in anticipation sir. Dear Prof, I appreciate you for your kind assistance. I'll try out the method. Thanks. It appears you cache for that app is full and need to be cleared. Clear cache is the option you should start with. It will get rid of saved data that allows apps to load a little quicker or stop working when you launch them. After the reboot, tap the phone icon to launch the app. Once the error pops up, tap OK and immediately tap the Phone icon again. Repeat the process two or three times. i have tried to flash it and download it OS but it's still giving me d wahala….pls what do I do? I got superuser issue with infinix note pro. I just downloaded the updated firmware from infinixmobility.com n flash it on my phone. However, I can't install superuser from zip via recovery as usual even when I flash the infinix note pro recovery image. Is my problem from the zip file, the recovery or from the update? hope your phone is not rooted? Is there any place to purchase wiko sunset battery please? Yes, you can get it from their partner store, Jumia or Konga. You are having that error because your app cache is crowsed. Go to settings>>>apps can scroll down to google services, clear the cache and rebooth ur device. What is your phone internal memory? My prof, please don't be tired of us. I know you have some how a bit fed up now, but please. My phone keeps downloading some apps, named engrik, pro, measure. They keep popping this is not working that is not working. Distoping my fun. I tried all means to delete them, but I just can't even with root Uninstaller. Please help. It seems Monkey test time is already working on your device. have you fixed it? It also install 360 security without me having download it or Installing it. Prof, ever since I started using my android phone, it has been sending premium text messages without my permission. Both sims are sending the message. MTN charges ₦15 which is sim 1 while GLO charges ₦10 which is sim 2. I've called customer care of both network and they're not helping. Glo said the number is not showing on their side. Just a name which is USA 1. I've lost a lot of cash to this rubbish. My phone is Gionee M5. Please help. Note: I don't see any trace of text message in my sent message folder but I some times get a pop up message which says "last sms cost ₦15 or ₦10 and sometimes I don't get it. @ayuba, kelvin, al_almeen, elvis your issues seem 2 b a new portent virus in town. l suggest u flash a new ROM. It's going 2 solve it. And pls install antivirus b4 u use your phone n avoid some websites. happy new year in advance mr Yomi. pls I want to root and change the imei of my Samsung GT-I1900 . pls kindly help me out . Happy day prof. Pls m having serious headache with my gionee p2s. I formatted my sdcard bc of virus attack but since then it has refused to boot to d user platform, so pls prof wat do I do? Can you boot your p2s into safe mode? search 4 your phone ROM on d net n download it. Install sp flashtool on your computer n use it 2 flash it. If don't know to, search how 2 flash a ROM with sp flashtool on google. By SD, do u mean your internal memory? If u do, then, u got to install a brand new RoM on your phone. You have formatted d factory firmware. pls, follow d procedure given above 4 RoM installation. Please I don't know what's wrong with my Phantom z mini. It is not charging. I plug it and it shows its charging but the battery percent does not increase. Please what could be wrong? I'll suggest you try another good charger… if you've tried another good charger and the problem still persist, then your battery is faulty. Hello Yomi Prof, I have some problems with my phone; Tecno H5 and I'll be glad if you can help me out. 1. My data keeps switching on itself and also my WIFI. 2. The Apps and games keep hanging whenever I'm using anyone of them. I've done factory reset but the problems still persist. Please help me. N.B: How can I get you on facebook? It seems Monkey test is already working on your device. But I'll first of suggest you download app cleaner to clean your device app. If the problem still persist, then flashing your device will be your next alternative. my snokor rocket z5000 goes blank when a make a call, making it even difficult for me to end the call. Are you using screen protector on your snokor rocker? I'll suggest you remove it because it might be blocking the proximity sensor or cut it a little away from the proximity sensor. HELLO SIR pls my infinix hot note or what is given me wahala when ever i on's the DATA it downloads all sorts or rubbish with heavy mb by it self, have flashed it softly but still not ok does it need rooting or flashing with scarter file if yes "can iroot solve it or rootking" if no, pls help me to the last u have my email naa. [email protected] or [email protected] and NWOSU CHISCO DJ WHIZZO @FACEBOOK.COM OR [email protected] whatsapp.com thanks and GODBLESS. Don't flash it sofely… your device has been infected by the deadly Monkey test and time virus. You need to flash it hardly using SP Flashtool with the original stock rom. Prof, Please, be patient and read this thread. I have a problem thats really bothering me. I finished making a call and mistakenly saved that End Of Call Notification message that pops up after the call has been dropped. Ever since, wenever i switch on my phone, that particular call's notification message always pops up. And also, Etisalat keeps re-sending me a message i accidentally saved. i get more than a hundred of that particular message everytime. is there any solution for this please? Because this is really annoying. the message comes in like every 2mins. Please Prof, help me. Thanks. simply dial *262*2# to deactivate that etisalat call notification. Prof, thanks for reading my post but u didnt understand me. Its a text message that comes into my inbox, not End of Call Notification. This message am talking about is the message that comes in when u check etisalat airtime balance, them telling u that u have so so mb remaining. Even when i dnt initiate a request for account balance, the message comes in, like every 2-5mins. Is there anything i can do about it? Please guys, I used Font installer to install font on my Tecno Y6. Since then, all my applications has been misbehaving. Especially for for my dialer. Please my infinix zero2 is responding slowly, have tried all I can, even uninstalled some apps still no changes. Pls help, the situation is frustrating. I bought a tecno L5 few weeks ago and ever since I bought it it has been hanging badly. Can I get help on what to do pls? Good morning,can u help me figure out what could be the problem. I entered my email box on a desktop computer without logging out from my Android but now I can't send my with my phone it's requesting for a smtp server. Pls what can I do to set it up? Hi, please I need help. I can't download further on my infinix x509 while I still have 5gb free on my internal memory and 2gb free on my SD card. Power off your phone and press and hold the Volume Up key the Home key and the Power key all at the same time. When the phone vibrates (or you see the Android Logo) release the Power key but continue to hold the Volume Up and Home key. Continue holding the Volume up and Home key until the “Android system recovery” screen appears. Use the Volume buttons to scroll to and highlight the “wipe data/factory reset” option, and then use the Power key to make the selection. 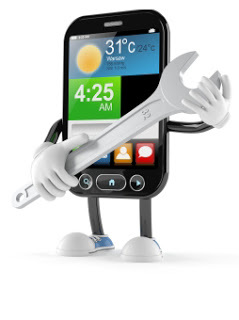 Once the factory reset is finished you may use the Volume and Power keys to highlight and select the “Reboot system now” option and the hard reset will be complete and your cell phone will be nice and squeaky clean. Whenever I swich on my snokor rocket z5000, it does not bring out the contacts and call list. Both remain blank even after rebooting and switching on/off. The contact list might have been hidden I guess but go to settings>>additional settings and fetch out your sim contact list. My Samsung Galaxy Note GT-N7000 does not charge when is on but when is off. What do I do?